It's not unknown for me to shout at the world on Twitter. Sometimes people shout back. @AberdeenFCBlog1 did this week, showing off Aberdeen's top ten moments of the season. "That's a good idea," I thought. "I'll do a top ten moments of the season list for Hibs." If Easter Road's recent history has been one of gradual decline, 2014 has been the year of total collapse. When you spend season after season stumbling about in the bottom six there is always a risk that you'll eventually end up falling through the trapdoor. And Hibs did. Frankly I've found it all more depressing than is probably healthy. Usually I prefer armchair activism. Protesting looks to involve too much effort or just too much standing about. And, as a moaner, there's always the temptation to avoid agitating for change because of the satisfaction to be had from moaning about the consequences of the status quo. But this week I've been warming up my placard carrying arm, resting my vocal chords and waking my militant tendencies from hibernation. So this morning, when I should be sitting in front of the TV finding out if James Martin's c-list celebrity guest is facing food heaven or food hell, I'll be going to Easter Road to join the protest against Rod Petrie. Hibs got relegated on Rod Petrie's watch. And not for the first time. This could really be reasons 1, 2, 3, 4, 5, 6, 7, 8, 9 and 10. How did that happen? We had a trophy, we had a training centre, we had a new stand. We had a leader in the boardroom who could turn promising youngsters into balance sheet boosting assets. What went wrong? Bad decision followed bad decision. Dischord grew unchecked. The man who made a mint on the golden generation suddenly found himself paying off more players than he sold. The leadership failed and the failure infected the whole club. The endgame was 120 minutes and penalties against Hamilton. Since Hibs got relegated Rod Petrie has made no concessions about his part in the fiasco - Leeann Dempster's arrival has been trumpeted but we already knew that was happening. The last time Hibs got relegated Lex Gold resigned as chairman, thinking it the honourable thing to do. Lex Gold. A man who many people think would be kicked out of the snake oil salesman's union for being just that bit too sneaky. Lex Gold. Looking down on Rod Petrie from the moral high ground. Leeann Dempster's arrival is A Good Thing. She doesn't need Rod Petrie showing her the ropes. In fact, for the winds of change to properly blast through Easter Road, her job will be easier if Rod Petrie isn't there. Staff will be free to tell her how the ancien régime failed without fear or favour. I wouldn't withdraw my financial support from Hibs. Going to the games, meeting mates before, during and after the games. That's part of my life. I wouldn't want to change it, despite the horrendous football I have to endure. Protesting today seem to be a less destructive way of getting my point across than giving up my season ticket. For years now Hibs have availed themselves of the services of David Forsyth from Benchmark PR. Is his role to promote the benefit of Petrie-ism? Tache-ism's spin doctor in chief? Is his role to build a better relationship between the club and the fans? Maybe it's both. But whatever way you look at it he's failed. Rod Petrie is held in disdain by many. The divide between the club and the fans and the wider community is huge and growing. Today the fans will be able to show Leeann Dempster how deeply they care about Hibs. It won't help her if Rod Petrie and his hired buffer stand in the way of her harnessing that passion. Pat Stanton is backing the protest. That's pretty much good enough for me. Speak to Pat Stanton for five minutes. Then speak to Rod Petrie for five minutes. Only one of them truly understands what Hibs were, what Hibs are and what Hibs could be again. Rod Petrie has a stake in Hibs and/or the mishmash of holding companies that sit above the football club. Sir Tom Farmer owns a bigger stake. Sir Tom needs Rod Petrie as a "conduit"? Could a respected figure not be found to take over as chairman of the football club and act as a "conduit" for both Sir Tom and Rod Petrie? If Rod Petrie isn't actively involved then he can get his information the same way Sir Tom Farmer gets his information. Prime Ministers often lose cabinet minister because they've done something really stupid or really wrong. But sometimes they lose cabinet ministers simply because the public perception is that they've done something really stupid or really wrong. When that happens the cabinet minister becomes a liability and the situation becomes irreparable. 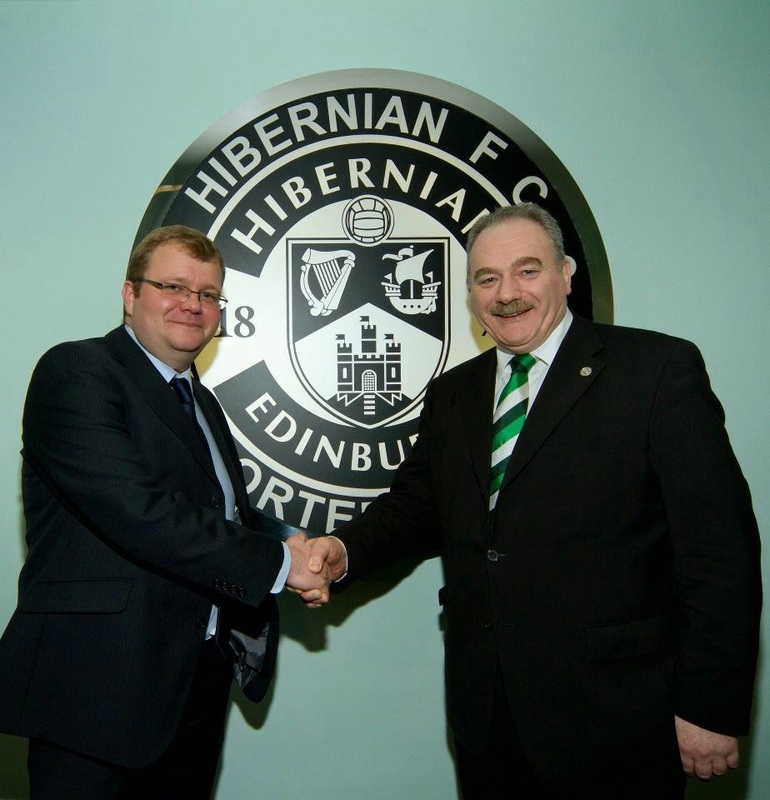 That is now the relationship between Rod Petrie and large sections of the Hibs support. Whether you believe he is wholly culpable, partially culpable or not culpable at all (I'd go for greatly culpable) the reality is that he isn't trusted and he won't be trusted again. Rod Petrie apologises for the situation Hibs find themselves in? Who cares, he's said sorry before. Doesn't change anything. Rod Petrie is stepping back from day-to-day involvement? Who cares, he's said he's stepping back before. Doesn't change anything. Rod Petrie promises Hibs will improve? Who cares, he's said Hibs will improve before. We got worse. As I wrote a couple of weeks ago, Rod Petrie is now a toxic brand. For the good of the club - and for the good of his stake in the club - he has to remove himself and allow the rebuilding process to begin without him. Why are the organisers of today's rally doing it? Ego? Self-interest? A basic lack of other activities with which to keep themselves occupied? Because they genuinely love Hibs? I don't know for sure. But I do know that people have been working tirelessly to mobilise fans to demand change. And in the last couple of weeks I've seen more passion from them than I've seen on or off the pitch at Hibs for quite some time. Do they have all the answers? Probably not. Are they motivated by real concern for the situation Hibs are in? Definitely. Are they determined to do everything they can to remove the influence of the man they see as largely responsible for the decline of recent seasons and for the malaise that shrouds the whole club? Undoubtedly. "Rod Petrie won't leave Hibs because he'd lose his role at the SFA." So under Rod Petrie's leadership Hibs have become nothing more than a way of hitching a ride to the VIP lounge at Hampden? That's just marvellous, such a positive reason for him remaining at the club. But I love Scottish football. Rod Petrie's failed my club. I don't want him having any power or influence across the wider Scottish game. In which case #Petrieout is a demand for the whole of Scotland. That's why I'll be at Easter Road today. Will I be on my own, will there be 50 people there? 500? 1000? More? I don't know. Will it make a difference? Maybe not. Is it worth doing to show how much people care about the club and how deeply they feel the betrayal of relegation? Absolutely. Recovering is going to be a long, hard slog for Hibs. It will be easier without the man who season after season, bad decision after bad decision led us to the pain of last season. 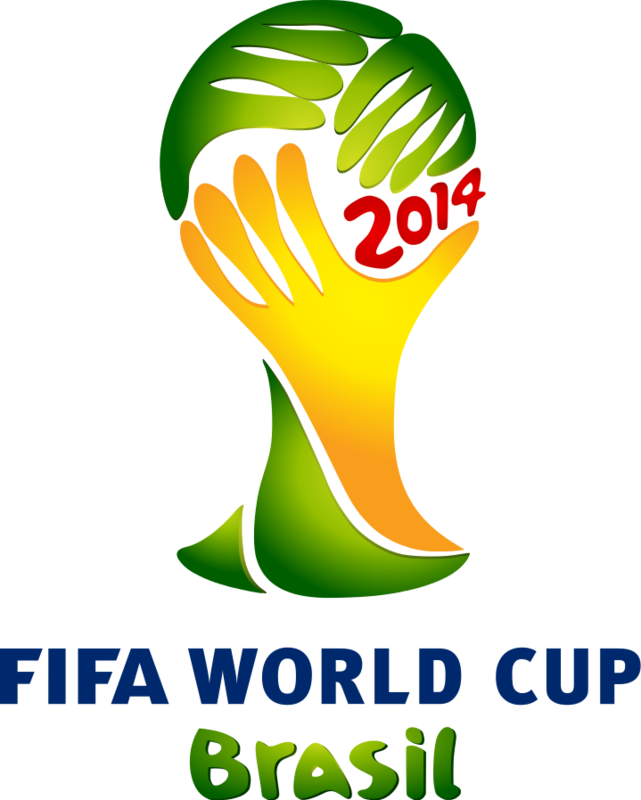 Just one week to go from the big event kicking off and I've been struggling to give the World Cup my full attention. Wayne Rooney's form or lack of it dominates the airwaves. Rio Ferdinand and Olly Murs have been counting down the World Cup's greatest moments while taking a tilt at the world's worst double act title. And still I've been distracted. More pressing domestic football issues have been gnawing at my troubled mind. Thankfully I'm now at peace, the sleepless night are over. Kenny Miller has found a club. The world can breathe again. As the weight lifted from shoulders I focused anew on FIFA's jamboree in Brazil. We're just seven days away. A week out from Brazil v Croatia in the opening match and the anticipation grows. Is it really 16 years since Scotland were facing Brazil in the opening game of a World Cup? Scotland, of course, beat Croatia twice in qualifying. They'll feel they've got nothing to lose but it looks like a mammoth task to upset the hosts and favourites. And yet... will the opening game give us our first glimpse of how Brazil's players will cope with the pressure of playing at home, the pressure of being charged with making amends for 1950 and all that? Will the opening game give us an indication of what impact protesters and demonstrations might have on the tournament itself or what face the Brazilian government are going to be able to show to the watching world? The compelling and the controversial. On and off the pitch. From this distance - home again with our tartan tinged dreams of what might have been - that looks like being the narrative of this World Cup. The shared joy at a World Cup being played in Brazil. The concerns about what it costs a country to hire themselves out to global sporting organisations - and what price governments expect their people to pay for the honour. At home we'll have the normal progress of England through a major championship, the pessimism turning to optimism, the agony of defeat turning to recrimination. Unless they win it. Which they won't. We'll suffer some of the commentators, pundits and presenters getting right up our noses. We'll have lingering shots of Brazilian beauties and we'll have hapless reporters sent to beaches for colour pieces while drunken - most likely English - fans moon them. The winners? Brazil to triumph against the world and against their own history. Could that mean Neymar eclipsing the pre-eminent Messi and Ronaldo? Or will their own personal duel inspire one of them to rip through this World Cup, dragging those around them to immortality, and ensuring memories of this World Cup are dominated by the brilliance of just one man? What of the Europeans - are Spain really ready to relinquish their crown and their era of glorious brilliance? Or have Germany found a blend that will allow them to finally win a World Cup outside Europe? And, when FIFA and their corporate guests ship out in July, will Brazil have made peace with the 2014 World Cup or will questions and protests remain?